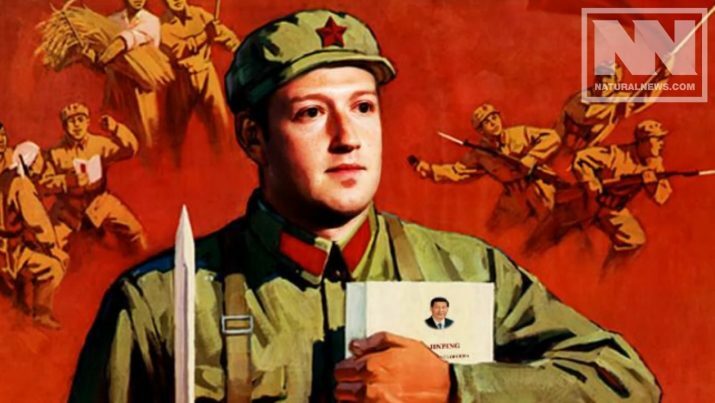 It can no longer be denied that there is a coordinated, sustained agenda to censor and silence conservatives by social media Silicon Valley giants as part of a giant election meddling scheme. It is widely acknowledged that Facebook and Google both backed both Barack Obama and Hillary Clinton in the last two presidential elections. Obama’s former campaign director openly admitted Facebook was “on our side” during the 2012 campaign. Wikileaks emails also reveal that Facebook COO Sheryl Sandberg wanted Hillary Clinton to win “badly” and visited her multiple times. These political connections demolish the “it’s just a private company” argument and they also illustrate how the silencing of conservatives is a deliberate effort to help the Democrats’ election prospects. A leaked internal Facebook message board post also revealed how conservatives within the company have become irate at its censorious nature. While CNN claims that censorship of conservatives is a conspiracy theory and that President Trump’s claim that Big Tech silencing independent voices is “false,” the multitude of evidence suggests otherwise. Just look at the sheer number of right-leaning commentators, political candidates and news outlets that have been hit with bans, suspensions or other censorship. – Alex Jones: Banned by Facebook, YouTube (Google), Apple, Spotify and numerous other tech platforms all within one 48 period. – Congressional candidate Elizabeth Heng: campaign ads banned by Facebook and Twitter. – Roger Stone: Banned by Twitter. – Gavin McInnes & the Proud Boys: Banned by Twitter over spurious claims of “supporting violence” and being an “extremist group,” despite McInnes and his Proud Boy group repeatedly disavowing violence. – Prager University: Repeatedly censored by YouTube. – Diamond and Silk: Repeatedly suspended by Facebook. – Robert Spencer: Mastercard pressured Patreon to remove Spencer’s payment processing facility on unsupported accusations of violence-promotion. – Alveda King: Facebook censored paid ads for a pro-life campaign. – Britanny Pettibone: Banned by Patreon. – Lauren Southern: Banned by Patreon. – Laura Loomer: Banned by Facebook after confronting a Muslim political candidate. – Republican Congresswoman Marsha Blackburn: Twitter censored a campaign ad in which Blackburn criticized Planned Parenthood. – CJ Pearson: Facebook account locked for posting a video supporting Rudy Giuliani’s criticisms of Obama. – Hunter Avellone: Banned by Twitter. – Chicks on the Right: Suspended by Facebook. – Owen Benjamin: Banned by Twitter for insulting David Hogg. – Tommy Robinson: Banned by Twitter for the vague accusation of “hateful conduct”. – Sargon of Akkad: Banned by Twitter. – Pamela Geller: Repeatedly suspended by Facebook. – Milo Yiannopolous: Banned by Twitter before the 2016 election for stridently criticizing a Ghostbusters movie and one of its stars, Leslie Jones. – Swedish right-wing political parties: YouTube has repeatedly deleted right-wing content on the eve of Sweden’s national election. This list is by no means exhaustive. There are innumerable other examples. Let’s also recall James O’Keefe’s exposé which showed eight current and former Twitter employees explaining steps the social media giant takes to censor political content they don’t like. While some anti-war and libertarian or left-leaning personalities and accounts have been censored, the overwhelming majority of individuals and organizations affected have been conservatives. It can no longer be denied that this represents a deliberate effort to deplatform conservatives and purge them from what is now the de facto public square in order to help Democrats win the next two elections. This is election meddling. This is taking place as a result of lobbying by mainstream media networks like CNN to shut down their competition, brigading by left-wing Soros front groups like Media Matters, and Democratic lawmakers. Just a month before Infowars was banned by Facebook and YouTube, Democratic Congressman Ted Deutch (D-FL) demanded that Facebook and YouTube ban Infowars. This is not just private companies enforcing their terms of service, this is coordinated conspiracy by Big Media, Big Tech and Democratic Party lawmakers to silence their political adversaries. Studies have shown that algorithmic changes alone, the very type that Trump complained about in his tweets this week, can shift millions of votes in elections. A new White House petition has been launched calling on Trump to pressure Congress to pass legislation that will protect free speech rights online. Please sign it right here. Once the petition passes 100,000 signatures, the White House will be forced to respond. In addition to the petition, with the help of top media lawyers, Infowars has drawn up a series of recommendations to be sent to the Trump administration that will help protect free speech online. Suggestions include directing the Justice Department to open investigations into whether there are First Amendment & anti-trust law violations by the major social media platforms. Trump could also set up a Presidential Commission made up of free speech experts to advise him on future action. We have also produced a lengthy special report on social media censorship of conservatives that can be read below in its entirety.